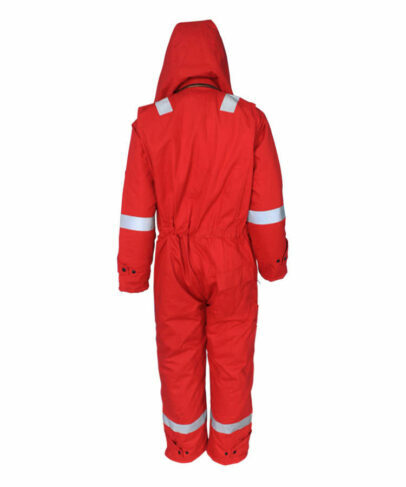 This winter flame retardant coverall made of 270gsm 88% cotton 12% nylon flame retardant fabric, and can meet NFPA2112, EN ISO 11612 and other standards. 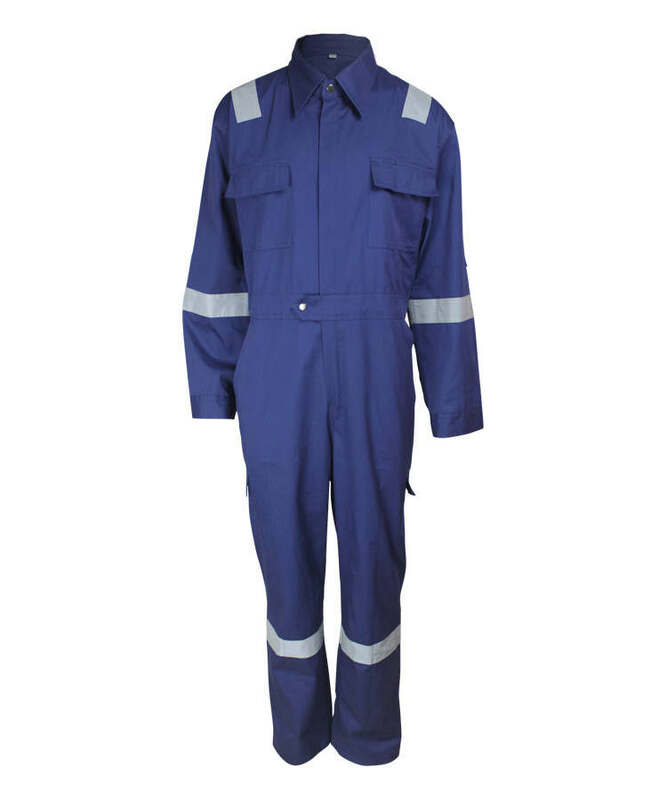 This winter flame retardant coverall has two three-dimensional front breast pocket with flap, closed by two snap button ,thus to avoid metal chippings splash into pocket. 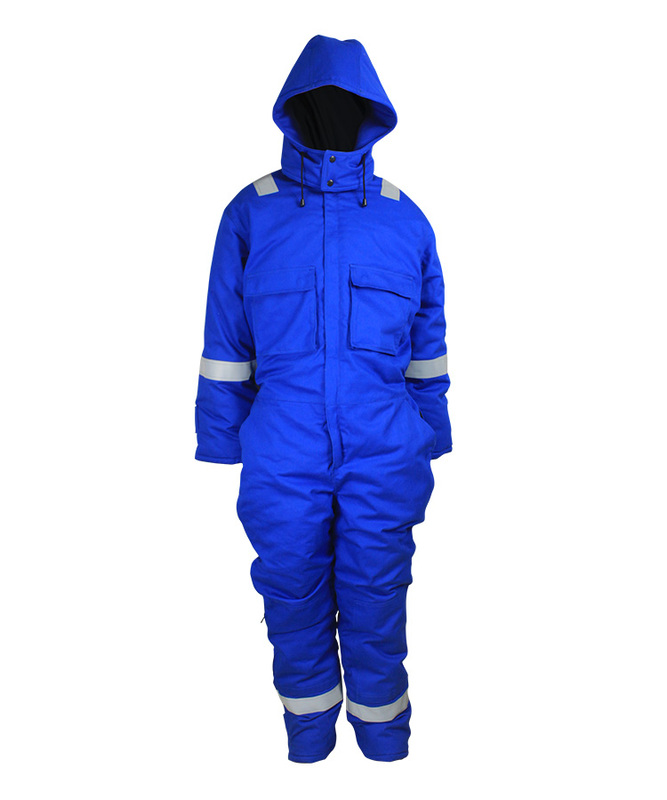 Winter flame retardant coverall's hood connected with main body with 5# single opened flame retardant metal zipper ,easy for hood to take off. Winter flame retardant coverall's filling inside of the hood ,elastic rope and spring buckle adjust the tightness of hood, under the hood there is two snap button close the hood ,so that it is more wind proof and keep warm . Winter flame retardant coverall' FR roman tam fabric inside of cuff to keep warm. 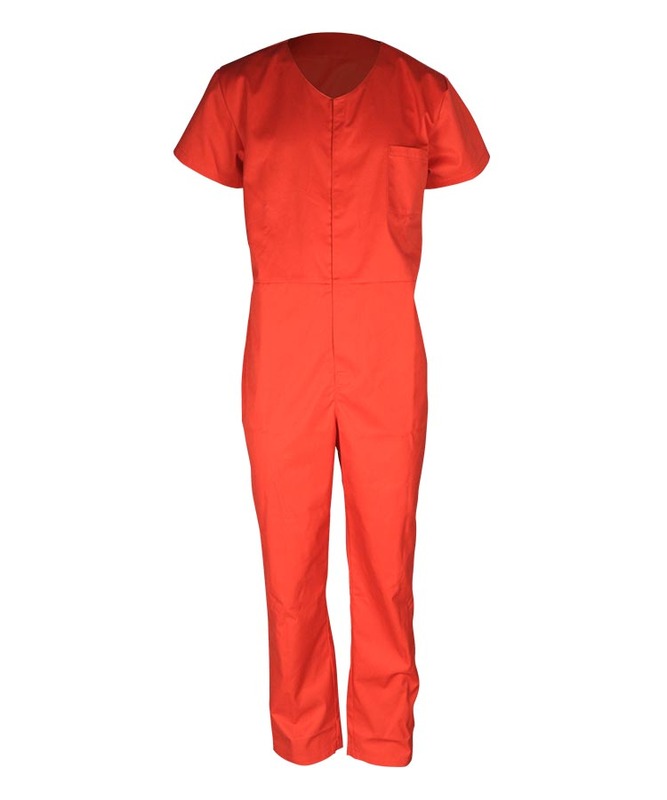 Winter flame retardant coverall has Two slant pocket on the pants. Vertical access on outseam of hip pocket.Out fabric and filling are independent separated out ,closed by zipper .Easy for safety belts . Under the left slant pocket on the pants, there is a double layer tool pocket ,can put bigger size tools . There is a loop outside of leg opening, closed by two snap button, can crimple the leg opening,to keep warm and windproof. 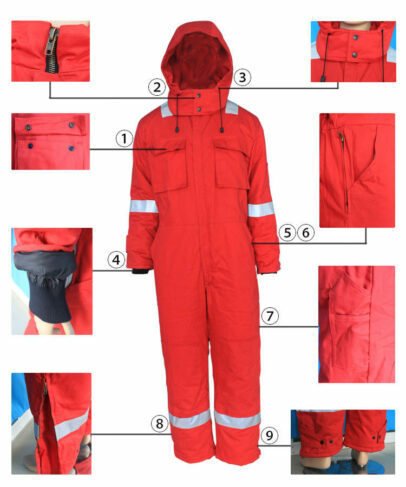 Winter flame retardant coverall’s front closed by 5# flame retardant two way zipper to the top ,there is outer front and inner front,it has better effect to keep warm. Elastic back easy for arms to move. Pen bag on left sleeve reflective tape, easy for us to put pen. 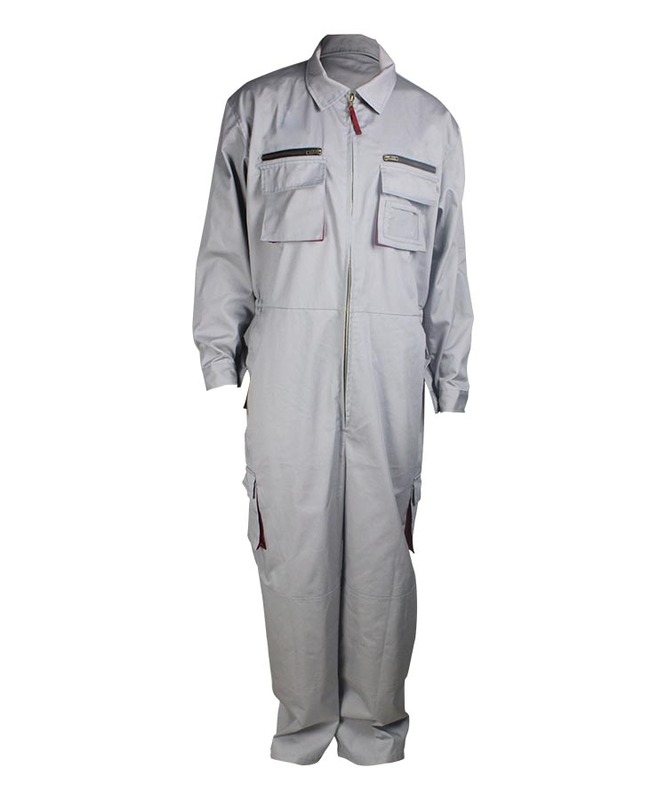 Winter Flame Retardant Coverall’s sleeve tab on the cuff closed by two snap button ,can adjust the size of cuff. Patch pocket with flap, closed by velcro, on the end of pocket there is two layers reflexed, more firm and wear-resisting. Keen pads on front leg ,downside closed by Velcro,can put protective pad to make more safety according to different working environment of the people who work on it. Bar tack on all the pockets and strength point. 5cm flame retardant reflective tape on shoulder ,sleeve,and legs ,double stitch make reflective tape stronger. 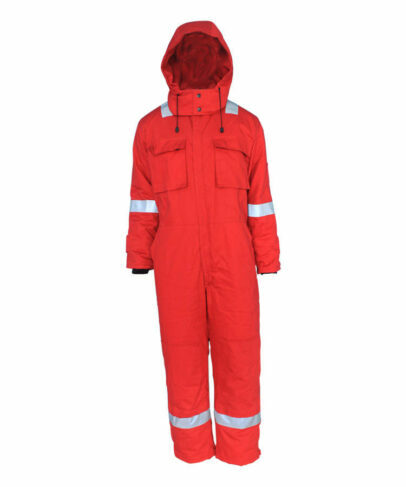 Winter flame retardant coverall triple line on shoulder, armhole, inside seam.